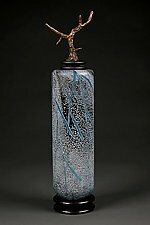 "My work incorporates dream-like imagery into the thick layers of a glass canvas." 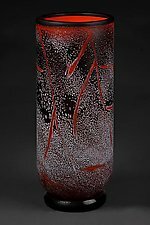 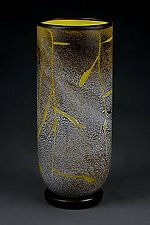 The colors and textures of nature are the departure points for many of Bladholm's innovative explorations with blown glass. 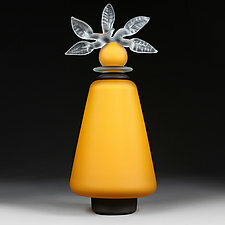 Summers in Door County, Wisconsin, as a child, and extensive travels in Europe have influenced his work. 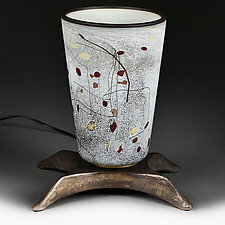 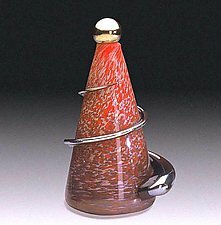 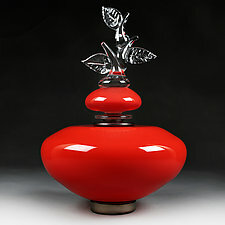 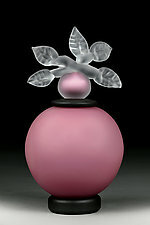 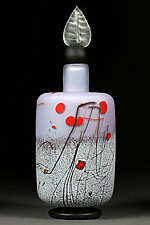 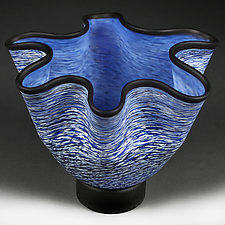 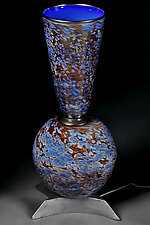 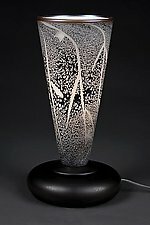 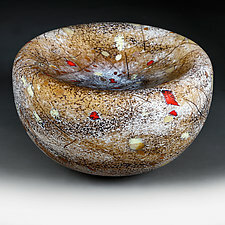 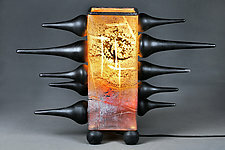 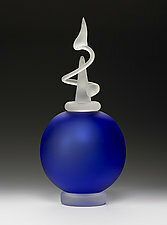 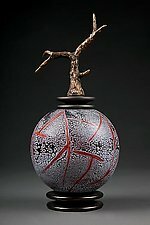 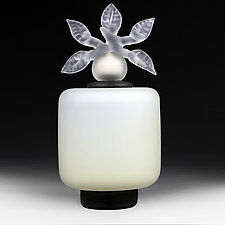 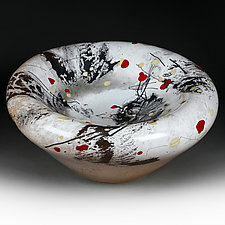 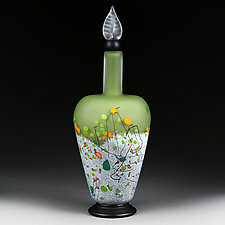 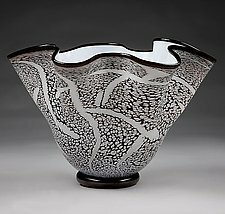 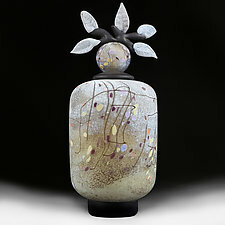 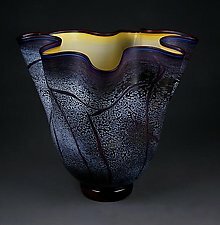 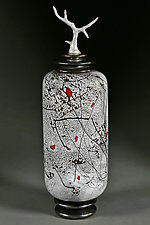 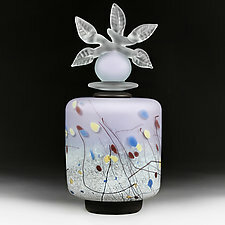 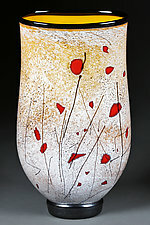 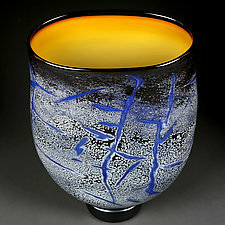 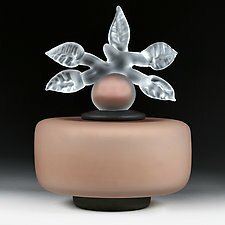 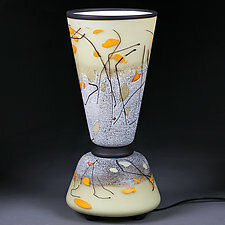 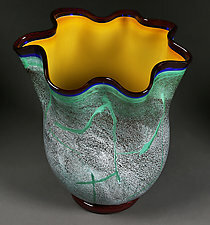 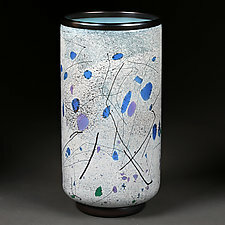 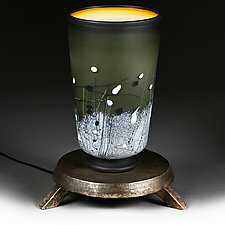 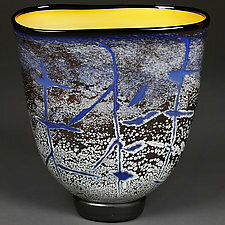 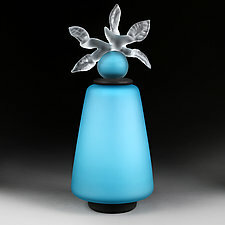 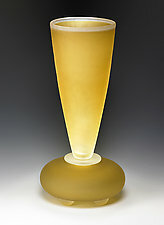 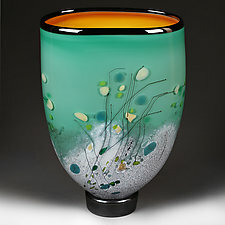 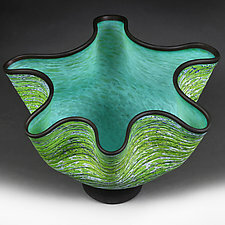 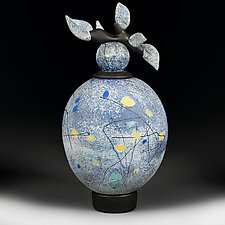 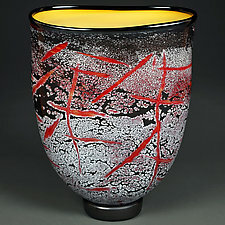 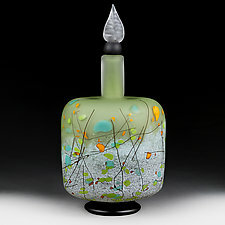 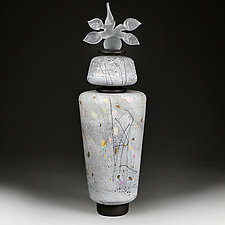 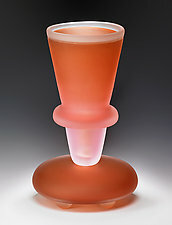 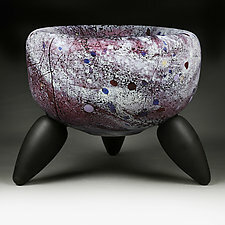 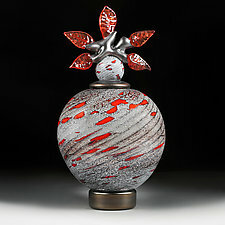 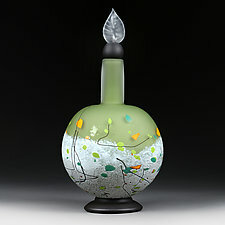 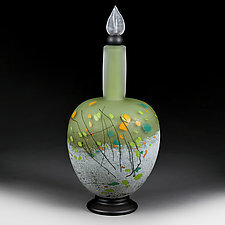 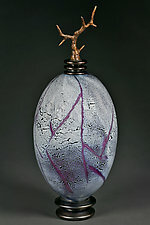 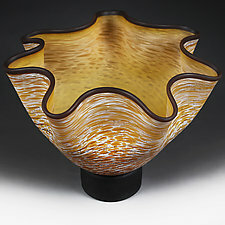 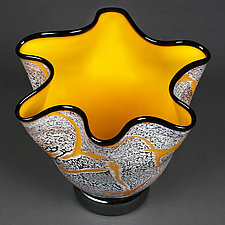 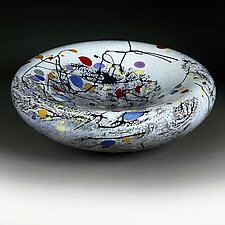 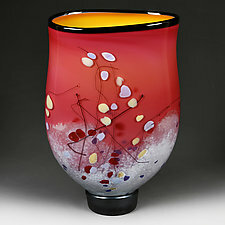 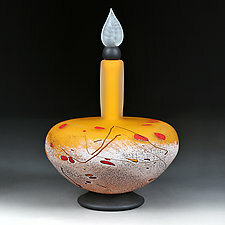 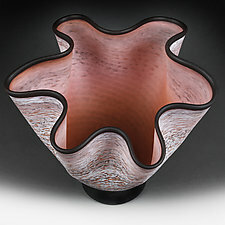 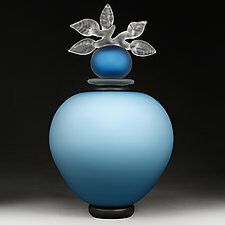 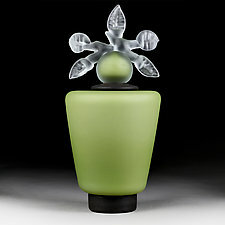 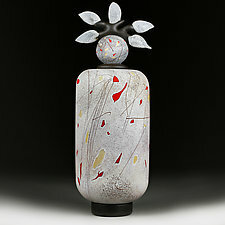 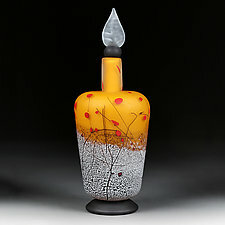 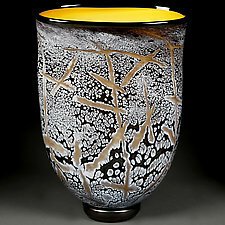 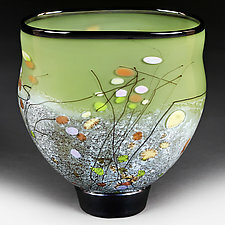 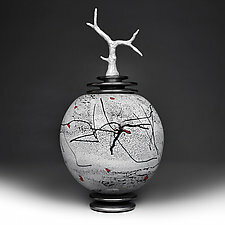 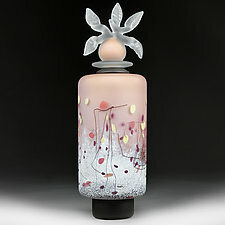 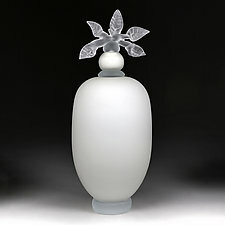 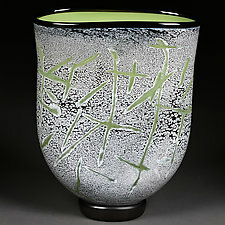 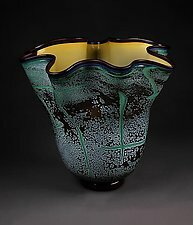 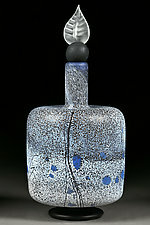 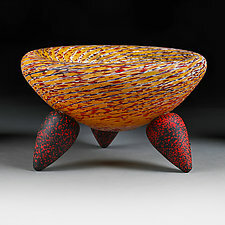 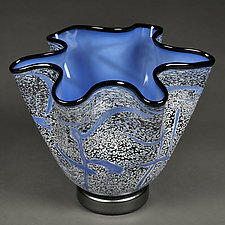 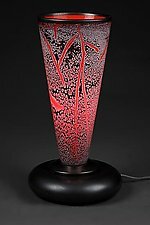 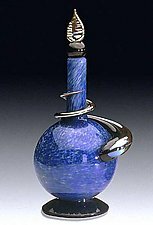 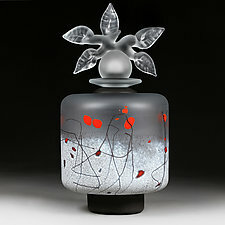 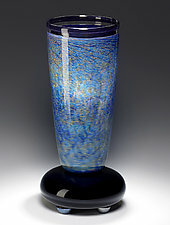 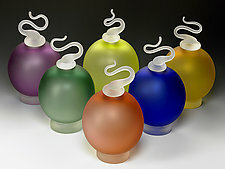 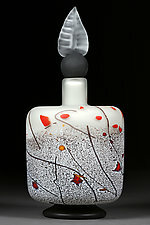 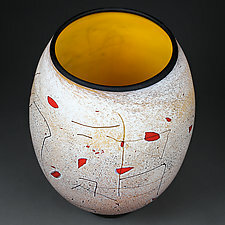 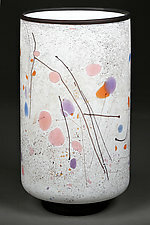 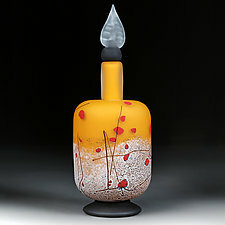 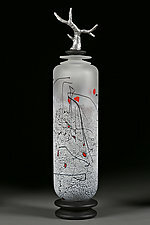 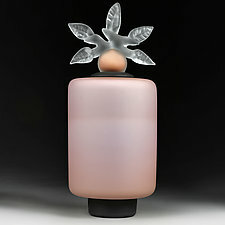 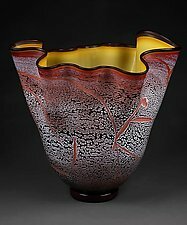 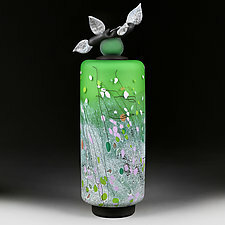 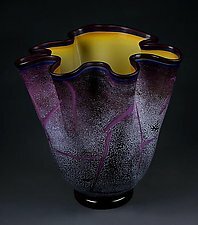 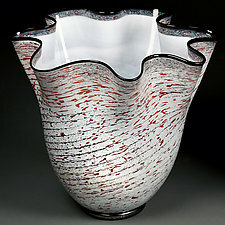 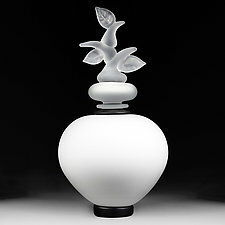 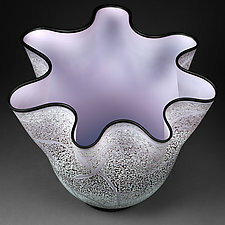 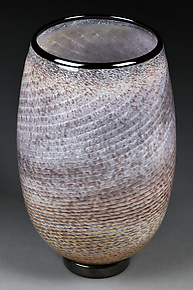 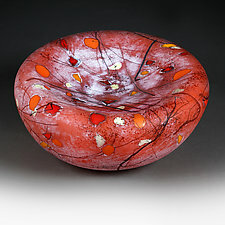 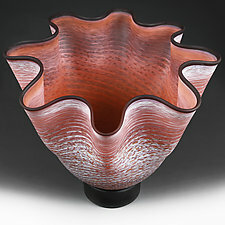 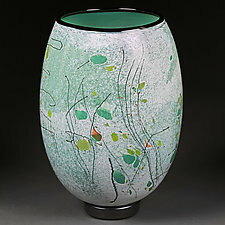 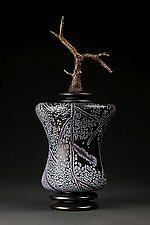 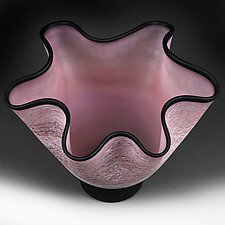 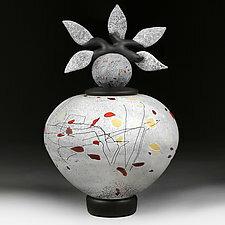 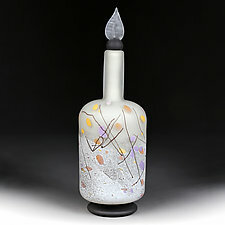 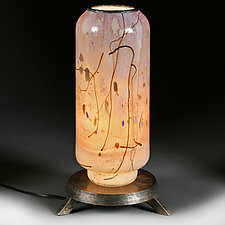 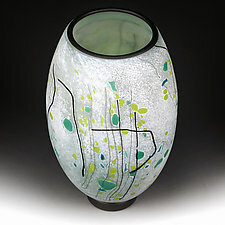 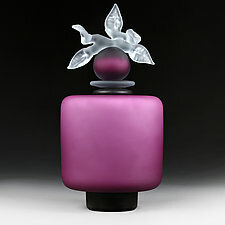 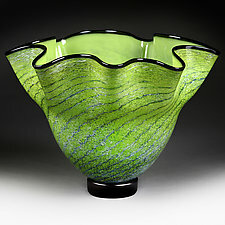 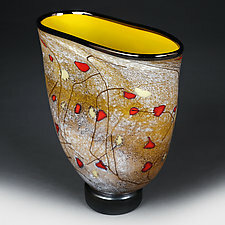 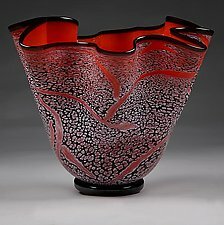 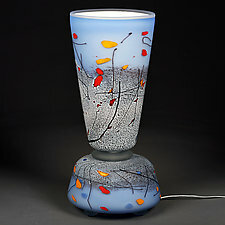 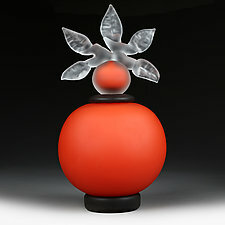 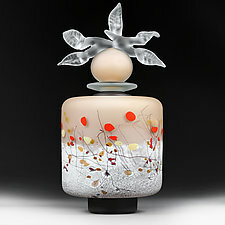 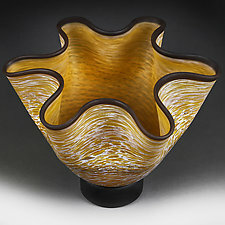 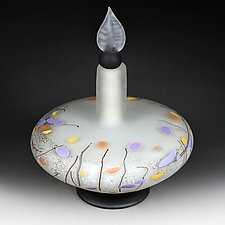 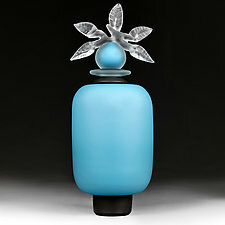 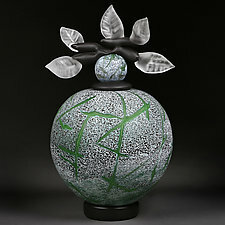 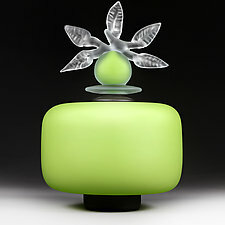 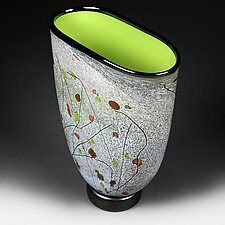 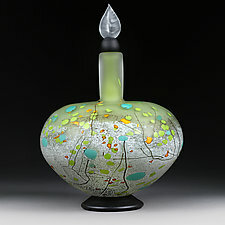 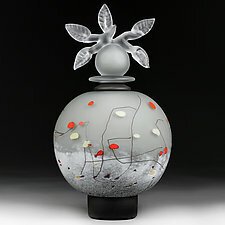 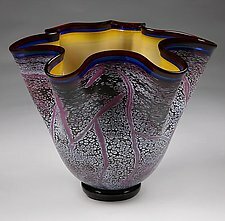 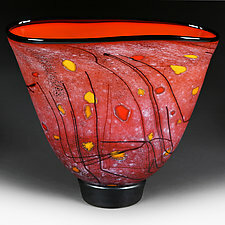 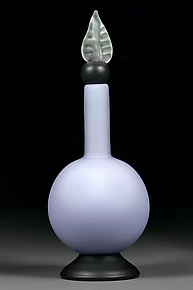 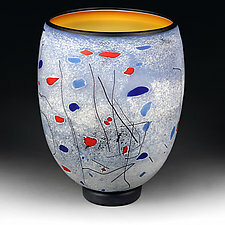 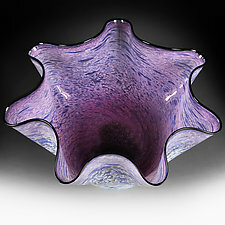 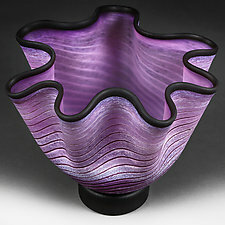 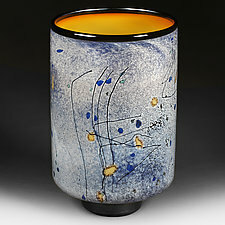 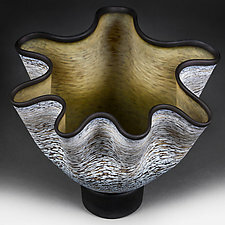 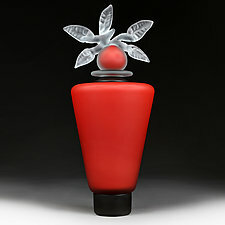 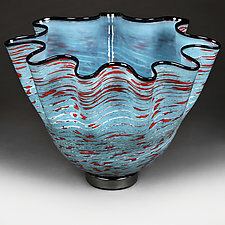 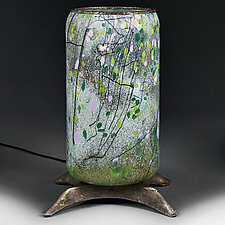 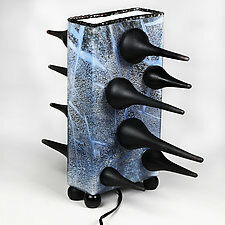 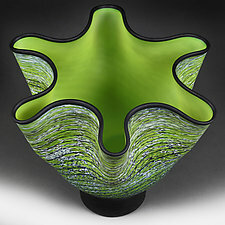 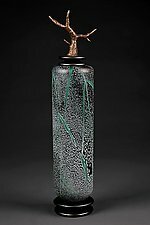 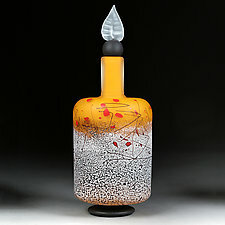 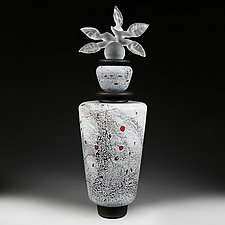 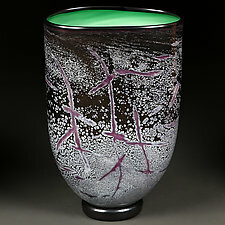 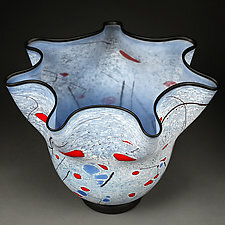 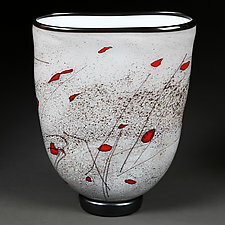 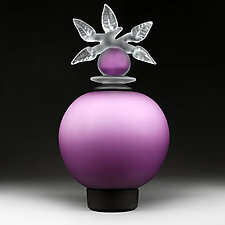 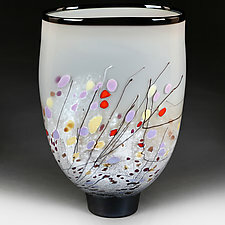 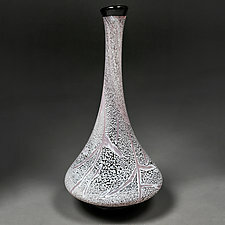 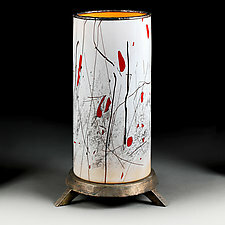 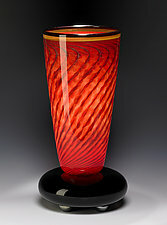 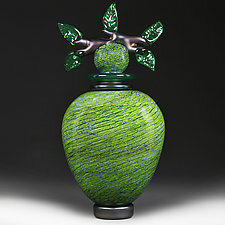 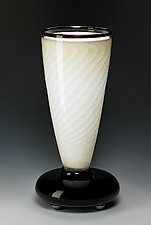 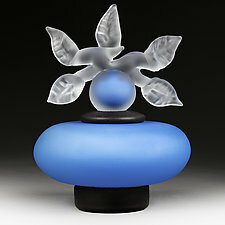 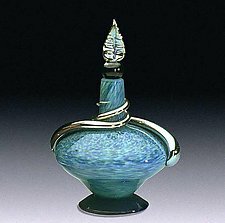 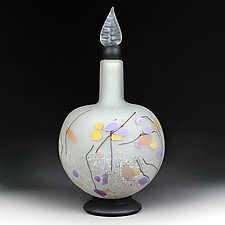 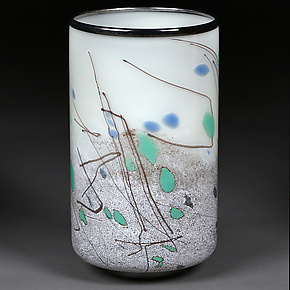 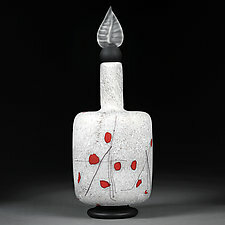 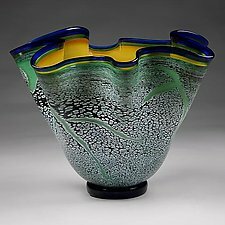 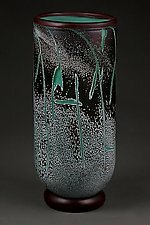 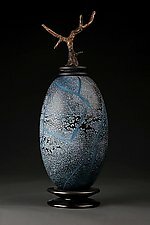 Eric Bladholm's blown glass designs involve multiple sections, usually a base piece and a custom-fitted sculptural lid. 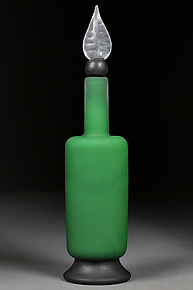 At their smallest, these pieces resemble their functional relatives, the perfume bottle. 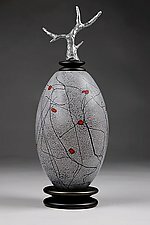 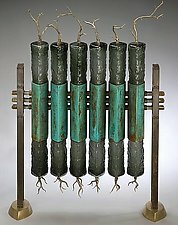 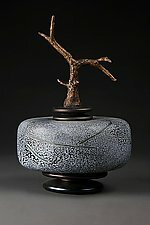 At their wildest, mold-blown glass is utilized to create abstract/industrial shapes that are presented in an organic cast metal base. 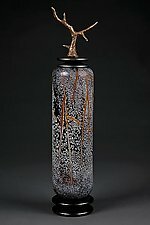 Bladholm got his start in glass and art early. 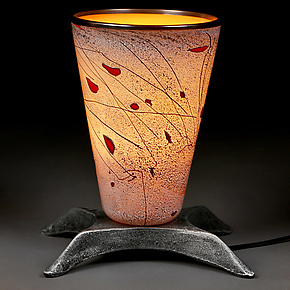 At age 11, his older sister taught him how to make stained and leaded glass, which he pursued until he discovered the art of glassblowing in college. 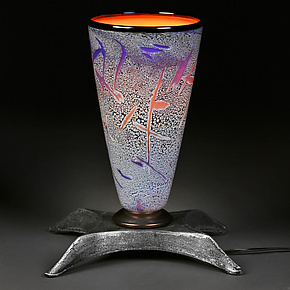 After completing his BFA in fine art and glass at California College of Arts and Crafts, he spent a season in Europe working with several renowned glass masters. 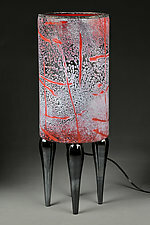 He then returned to Chicago to meet the challenges of building a studio of his own.